Below is an article published by: Phayul. The Tibetan Women’s Association dedicated the 52nd anniversary of the National Tibetan Women’s Uprising Day to honor the indomitable literary spirit of the Tibetan Women inside Tibet with an exclusive literary event, “Honoring the Literary Spirit of Tibetan Women Inside Tibet” here Saturday. The event held at the Deputy Speaker Hall of Constitution Club of India featured the launch of a book A Sequence of Tortures; A Diary of Interrogations by a noted Tibetan woman writer from inside Tibet Jamyang Kyi, and a panel discussion attended by Gyari Dolma, Deputy Speaker of the Tibetan Parliament in Exile; Jaya Jaitley, Former president of Samta Party and Social Activist; Nafisa Ali, Social Activist and Actor and Nilanjana S. Roy, Journalist and Literary Critic. The discussion was chaired by Swati Chopra, New Delhi based writer and author of Dharamsala Diaries and Women Awakened: Stories of Contemporary Spirituality in India. Jamyang Kyi is one of the most important voices writing from Tibet, according to the Tibetan Women’s Association’s Dhardon Sharling. “The writer has been jailed, and interrogated on many instances and continue to be under heavy scrutiny for her writing demanding more freedom in Tibet. As a writer, singer and blogger she continues to speak for her people at great peril of her life under the Chinese authorities,” says Sharling. Her book originally written in Tibetan has been translated into English and Chinese by TWA which will distribute the books worldwide. Lauding Kyi for painstakingly outlining the physical and psychological torture that she endured, Swati Chopra observed that Kyi’s book addresses bigger issues that the Chinese authorities are trying to comprehend out of it. "A ray of hope runs through the book and Jamyang Kyi is a believer in truth," said Swati. Jaya Jaitley pronounced that the event is about honoring women who are expressing themselves. She proclaimed that “the chakra for Indian freedom fighters is the pen for Tibetan people”. "Book lasts longer that we do and this book brings out the struggle in women, therefore let us honor the writing of Jamyang Kyi as an effective tool of non-violent protest," Jaitley said. Nafisa Ali saluted the courage of women like Tsering Woeser and Jamyang Kyi, their cause and their mission. Ali said that the world should let China and Tibet get the reform that is required. " If the dictatorship gives way for a peaceful benefactor, then we will have a wonderful place in South East Asia." Nilanjana S. Roy quoted an expression by Jamyang Kyi : "Chinese are allowed to write articles but we Tibetans are not even allowed to create them." She expressed her adulation for the writer and said that 'the fluency with which Jamyang Kyi remembers everything of her 21 days in prison is amazing.' Nilanjana affirmed that the book makes for a poignant reading and reflects many voices of women around the world. The TWA president Kirti Dolkaer Lhamo said that while it cannot be ascertained whether anything like Kyi’s book will ever appear again, the fact remains that this writing represents a complete sequence of interrogations, which had gone undocumented. 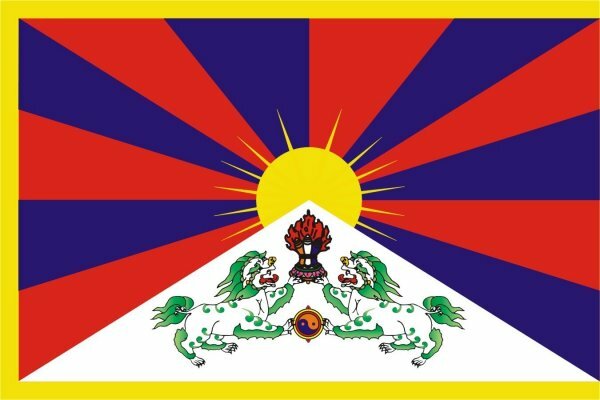 “The publication not only lays bare the true situation of Tibetan people but also explores the harsh conditions under which individuals still continue to suffer. More importantly, it exposes a government that combines the characteristics of guile, deceit, and coercion,” said Lhamo.